Hi loves! How are you? Are you ready for another texture polish? I've been loving the textures so much! I only own 3 but I do want to get some more - that OPI Minnie color and the Zoya Pixie Dusts for Autumn, too. 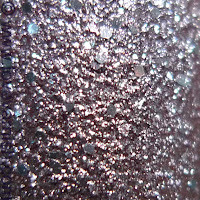 This is ANNY Rock Your Nails, 1 out of 8 polishes from the Desert Glam Limited Edition. It consists of 4 creme and 4 sparkly textures in mini bottles (6 ml. and priced €4,95 instead of the usual 15 ml. priced €9,95, these mini's are more expensive in comparison..). I already showed you Blue Hypnosis before. What I like about this one is it seems to have a unique color compared to the current available textures. It may look a bit silvery grey in my pictures, but it actually is warmer than that and even bordering taupe. 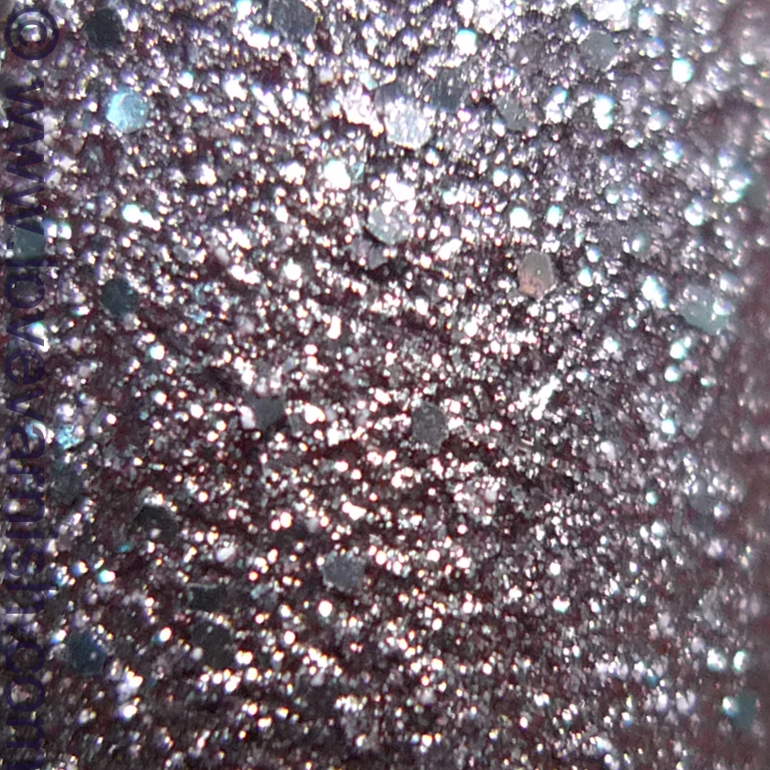 It is filled with silver shimmer and larger glitter pieces though and that's what my camera picked up. It applied easy - the consistencty is quite thick but spreads well, and the coverage isn't patchy. The second coat is to make sure there isn't any spot forgotten. It "textures" quickly and lasts well (2 days without tipwear). The only thing I didn't mention with ANNY Blue Hypnosis but which also applies to this one (and probably every texture out there? OPI Jinx had this too): I file my tips after it dries completely, just ever so slightly, to make sure the tips aren't gritty or scratchy anymore. I do this with regular glitter too sometimes because they don't magically stop at your tips haha. What do you think of this color? And do you like the larger glitter pieces added in this polish? Oh wow! I really want more textured polishes but it seems like most aren't readily available here (South Africa)... I guess I'll have to resort to ordering online, but I just like seeing something great in a shop and getting it. Maybe they'll show up eventually - it was the first time for me to find some in a store! Haha you don't say ;)? That surprises me LOL!